Look away now if you’re chronically averse to spoilers, but I can exclusively announce the shortlist for the best new comedy category at this year’s Olivier Awards. It’s going to be a four-way dust-up between two National Theatre shows – Home, I’m Darling and Nine Night – the Royal Shakespeare Company’s Don Quixote, and James Graham’s latest West End smash Quiz. This might seem like a bold set of predictions, not least because many would argue that Nine Night isn’t actually a comedy (something we will return to later). However, it would appear that the Society of London Theatre has pretty much confirmed the nominations after the publication of its eligibility list for the 2019 awards this week. As it happens, they’re literally the only four plays in contention for that comedy award. There are several weird things at play here, the most important of which is the length of the list. If out-and-out comedy is such a minority pursuit in British theatre, maybe it doesn’t really need its own award. That’s before we’ve even considered whether or not the four plays eligible for best comedy are actually, you know, comedies. Don Quixote definitely is. Home, I’m Darling and Quiz kind of are, albeit ambiguously so. But what on earth is Nine Night doing there? Natasha Gordon’s superb debut drama features one very, very funny character: the self-regarding Maggie, brilliantly played by Cecilia Noble. But I cannot, for a second, imagine anybody who has actually watched Gordon’s poignant play about a divided, grieving family would hand-on-heart call it a comedy. Why is it there, then? 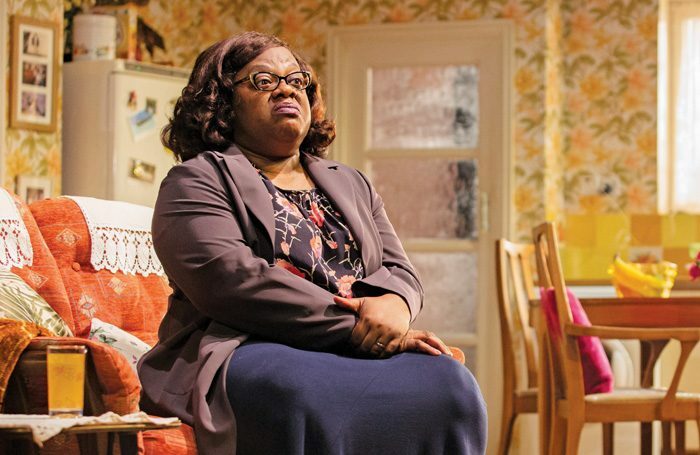 I put the question to the National Theatre, who said that it had put Nine Night (and for that matter, Home, I’m Darling) up for both categories, but SOLT had ultimately made the decision to put them into the comedy rather than new play category. The National was clearly hedging its bets, and being shortlisted for comedy has its definite plus points for Nine Night: the buzziest play on the list, it is much more likely to win the category than best play, where The Inheritance looks almost unstoppable. Yet I would argue that being shortlisted for best play would be a bigger deal than winning best comedy, and that it would surely have made the shortlist for best play if it had been put up for consideration. This does raise the intriguing question of whether SOLT sat down and seriously considered whether Nine Night was more apt as a comedy, or whether it was just grateful that it would be able to make up the numbers for a shortlist again this year. Founded in 1976, when farces were still a thing, the new comedy category has struggled to find nominees in recent years, and disappeared entirely between 2011 and 2013. Given the numerous other, worthier, busier potential categories the Oliviers could introduce as an alternative, it seems bizarre that SOLT is so desperately clinging to something that is so evidently struggling. Best new comedy is in danger of becoming a bit of a joke.